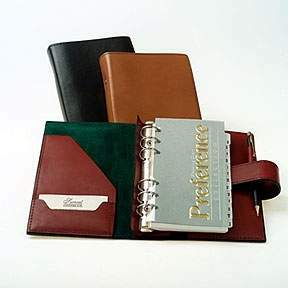 This agenda is the perfect size for carrying around. 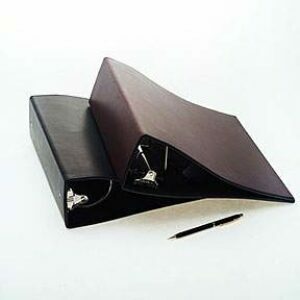 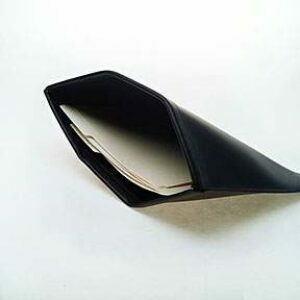 It has 1 angle cut flap in the front, 1 full flap in the back, 1 business card pocket, and pen holder. 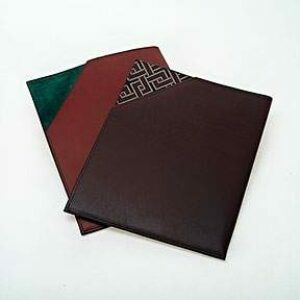 Includes 3 3/4″ x 6 3/4″ agenda and address filler. 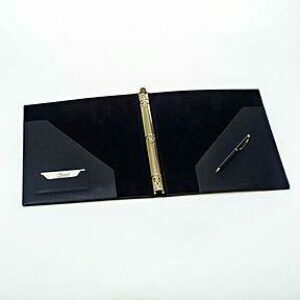 Overall size 5 1/2″ x 7 1/2″.